Carol Elvin, 36, was an artist accomplished in scrimshaw. Adopted as an infant, Carol grew up in Rochester, New York. Four years before her murder, Carol found her birth mother. They travelled together to Aspen and Mexico. In the mid 70s, Carol worked as an advertising saleswoman for the Summit County Journal in Breckenridge. Later she operated a photography business in Keystone. Friends and neighbors described Carol Elvin as outgoing, vivacious and articulate. She ran her business from a studio in her home on East Mexico Avenue in Denver. 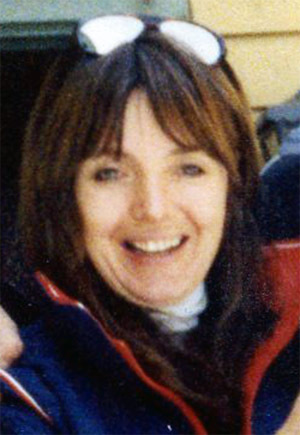 Carol Elvin was found by a friend at the foot of the basement stairs in her home on February 12, 1982. She had been beaten with a cinder block. If you have any information about this murder, please call Denver Police, Sgt. Parisi, 720-913-6320.